Your home should be your haven; the best place in the world. Home sweet home is where you should feel your safest. Many couples spend all their savings when they purchase a new home just after getting married. That new house feels like a dream palace at first. However, no physical structure can withstand over time. After a few years that same dream palace may feel too small as children or pets or need for a home office are introduced. Everything changes. You feel the need for a bigger home. Maybe you earn enough that purchasing a whole house is possible. Many don’t have that luxury and are forced to live with their expanding family in the same small space. Maybe you don’t want the hassle of moving your family to a new school district or endure a longer commute to work, making expansion to your current residence the best option. Adding a room to your existing home is an affordable way to keep the things you love while still making room for your growing needs. This happens every day in Citrus Heights California. You don’t need to sell your house and find a bigger one. Do a room addition instead. You may want a room addition to add a bedroom or working den or sun porch or artist studio. A standard room addition in Citrus Heights is the best home improvement project to guarantee the increased resale value of your home because house values are determined primarily by square footage. There are many work-arounds to a low space problem. If you decide that adding a new room is best for your needs and budget, we are here to help. Monster Contractor is the best contractor for room additions in Citrus Heights CA. Our team of experienced experts is available to meet with you to go over the details. There are many things you need to consider when planning your room addition. First, the size of your lot is a main factor. If your yard is not big enough to accommodate your room addition, to include required easements for Citrus Heights or its neighboring towns, you may need to consider other options such as building up not out. Many homes are built in a way that makes a first story room addition feasible. If you are not sure what path to take for your own room addition project, Monster Contractor is happy to send out with our in-home consultations to meet with you and provide recommendations. Citrus Heights room additions are by nature highly involved interior renovations. This is why having the kind experience and knowledge that Monster Contractor offers is so essential. A great deal of planning needs to go into any addition in order to ensure the new room blends seamlessly with your existing construction, rather than stands out looking awkward. Considerations for electrical work, cooling, and heating, interior and exterior walls, plumbing, and the roof must all be made. Adding a room is harder than it may seem. It requires expertise and construction work experience. There are many Citrus Heights contractors who claim to offer this type of service, but their finished product will not blend into your existing home and instead will stand out as an obvious after-market addition. This will hinder you when it comes time to sell. There is a reason why Monster Contractor is among the best when it comes to room additions in Citrus Heights and the surrounding areas. 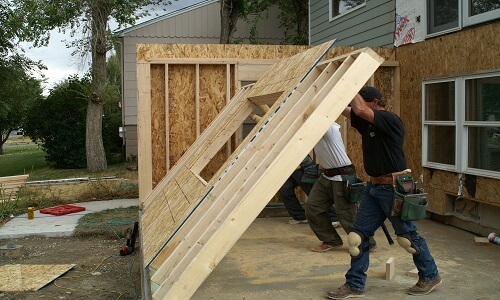 Monster Contractor divides the process of a room addition into several phases. First, we will sit with you and write down your needs and expectations. Our experts will also take measurements at that time. Existing faulty foundations or weak walls can make a room addition dangerous in the long run. Our experts will look for signs of damage within your house and determine if there is anything structural that needs to be repaired so that we can include that consideration in the cost and get it resolved first. After gaining a basic overview of the desired design, we will work with you to fill in the details of your vision and expectations. Once we have come to a clear understanding of the scope and a proposal has been approved, our crew of skilled workers will move forward with the construction phase. If you are concerned about hidden fees or unexpected increases to the cost of construction, please know that we do our best to account for every detail and for what roadblocks we anticipate based on our initial inspection. 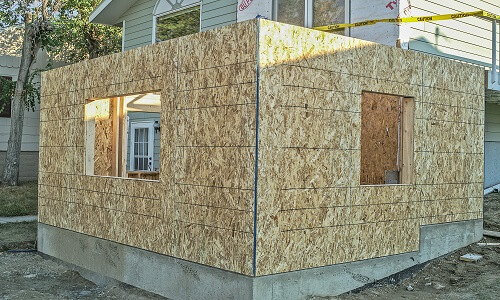 Past homeowners have put their faith in us because we are able to stick to our proposal costs for Citrus Heights room additions better than any other contractor in town. They know that the materials we will use for their construction will be top-notch and that the quality won’t suffer because of a limited budget. 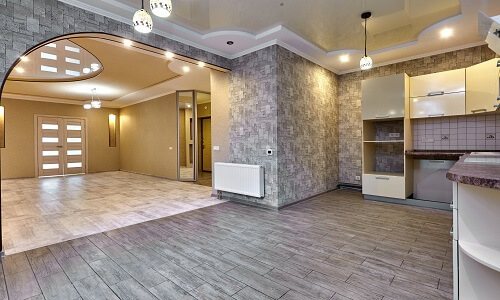 By the time your new room addition is complete, it will blend into the previous design of your home so well that anyone would be hard-pressed to tell that which is the new room, and which is the old. Monster Contractor can do more than room additions for your Citrus Heights property. Our contractors specialize in making your room addition match the current home layout and design, but we are also able to build carports, attached and detached garages, decks, and much more. Often the scariest part of the process is in getting your questions answered by a contractor who knows what they are doing and won’t leave you more confused for asking. Monster Contractor welcomes your questions and will always do our best to provide you with comprehensive answers. Throughout the course of your project, our staff will keep you informed of our progress and will remain available for your questions and feedback. Whether adding a carport, a laundry room or an elevated deck, at Monster Contractor, our staff take care along each and every step of your project from securing plans and permits to building the foundation; carpentry, framing, and siding, through to final painting. There is no need to contact multiple contractors; if you want it done, our Citrus Heights building contractor team can handle it. Call today 916-550-4381 or complete the “contact us” form and our office will reach out to schedule a visit. Monster Contractor is a full-service General Contractor and Construction Company located in Citrus Heights. We provide our industrial, commercial & residential clients with premier service and quality assistance throughout the greater Citrus Heights area. We work hard to provide what seems to have been lacking in recent years: a contractor who wants to provide quality service at a fair price. As a result, many of our clients call us back year after year. Monster Contractor of Citrus Heights is a fully licensed and insured construction company. Whether you need commercial, industrial or residential construction, we'll have our best journeymen on the project. We have over 50 years combined experience in the commercial construction and industrial construction industries. Our Property Maintenance experience, like electrical, plumbing, gutter cleaning, etc. will keep help your Citrus Heights facility running smoothly. Commercial Tenant Improvement in Citrus Heights is easy with us. Apartment building and property owners have trusted us for years to improve the lives of their tenants. From small projects to new builds, we have managed all types of Construction Management projects in and around Citrus Heights, California. Retirement homes, government offices and apartment buildings are just some of the Facility Maintenance services we offer. We work directly with YGRENE and HERO on Green Building Construction and can be your ally on energy-proofing your property in Citrus Heights. We have the best solutions for all aspects of home remodeling and Residential Construction in Citrus Heights. Are you doing a Citrus Heights Home Remodel? Room Addition? Kitchen Remodel? Whether it’s a bathroom remodel or complete or partial remodel, we can simplify your remodeling needs. Call Monsters Concrete for a complete estimate to repair foundations and other concrete products. We even have Home Maintenance and home cleaning solutions and can make ourselves available for the smallest detail. Earthquake Damage Restoration and retrofit as well as Fire Damage Restoration mitigation can be expensive if you’re not familiar with restoration in Citrus Heights. Insurance Restoration and working with insurance companies is difficult. Let our experience simplify the process. Storm Damage Restoration can happen at any time of year. We offer services for each season. Water Damage Restoration from leaks can destroy your home. Fast comprehensive repair from Monsters Roofing is the best solution.